TBYL News is a great way to catch up on recent reviews, upcoming news and words from my lovely special guests. This month, I had a little chat to Julie Kagawa, author of The Immortal Rules, about what makes her write and what’s up next for her. You’ll also find exclusive newsletter specials at The Store and excitingly, newsletter-only competitions! 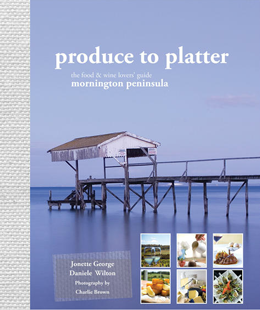 This month I’ve got two copies of Jonette George’s Produce to Platter to give-away, with thanks to Smudge Publishing. Don’t miss out on the chance to add this stunning coffee table book to your collection. On another note, I’m running a poll at the moment on our Facebook Page, to help me to choose our July TBYL Book Club book. Feel free to pop past and let me know what you think of we should read next.